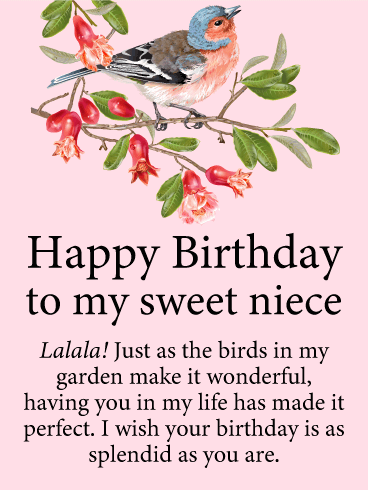 This charming card is decorated with colorful butterflies, perfect for wishing your niece a birthday that’s full of joy, just as much joy as she brings to everyone else around her, especially you. Whether she’s near or far this year, a greeting this sweet is sure to make her smile. 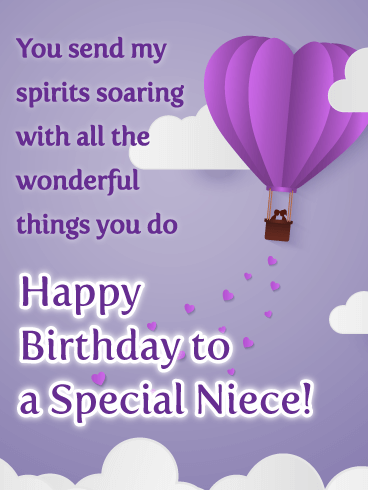 Send your niece’s spirits soaring on her birthday with this charming purple card! A hot air balloon in the shape of a heart flies high in the air, as fluffy clouds surround it and little hearts stream down from below. 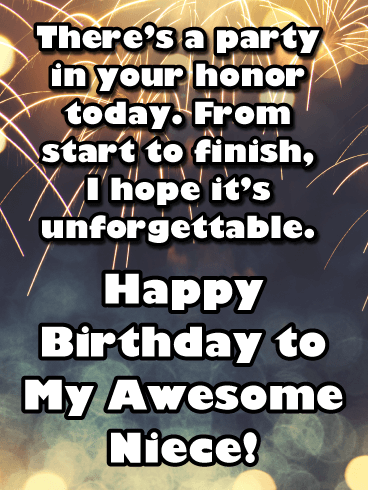 It’s a special way to remind her of all the wonderful things she does, which is the best reason of all to celebrate her! 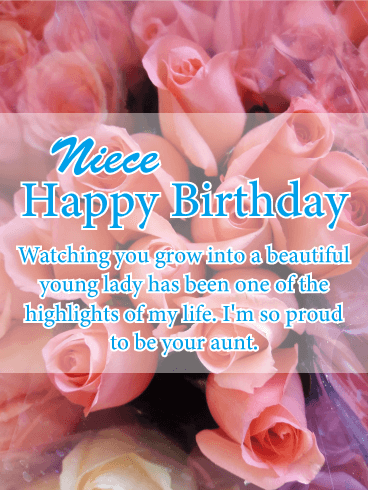 This pretty pink card will make your niece feel loved on her birthday. Pink and white hearts peek out from the side, and the words are heartfelt as well. It’s a chance to let her know how sweet she is while wishing her happiness in the year ahead. A little something extra special! 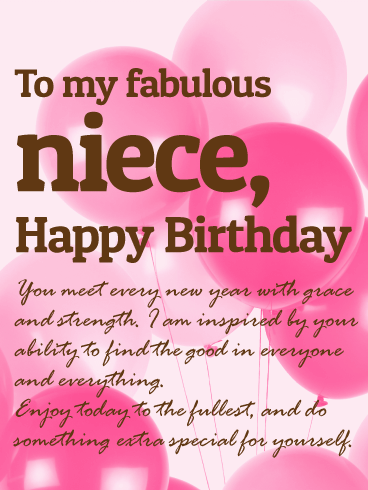 Send your niece a fabulous birthday card that honors her ability to meet life with grace and strength. 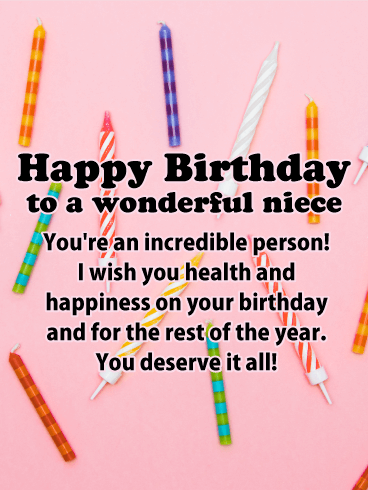 Encourage your niece to enjoy her day to the fullest with a birthday greeting full of kind words and thoughtful blessings. 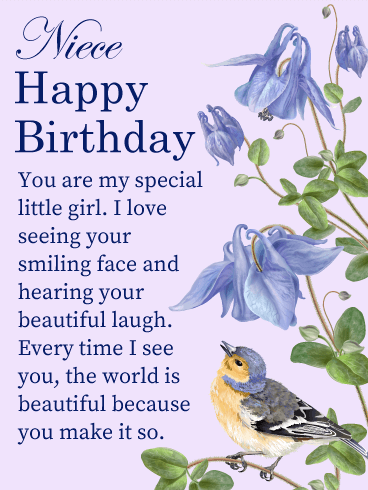 This pretty birthday card for your niece is a lovely way to celebrate her birthday and honor the beauty of her life. Birthday cupcakes are great, but when you add sprinkles and sparkles, they become awesome! 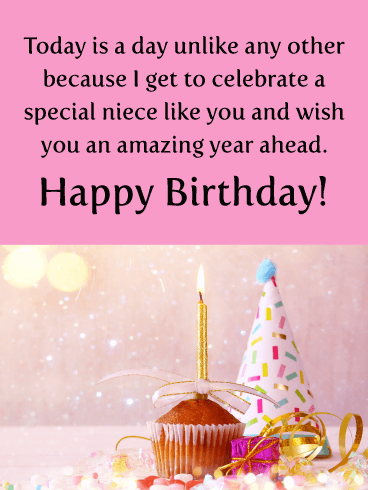 This birthday card features the best birthday cupcake ever and your niece is going to just love it! This greeting card will allow you to send joy and love her way. So special! 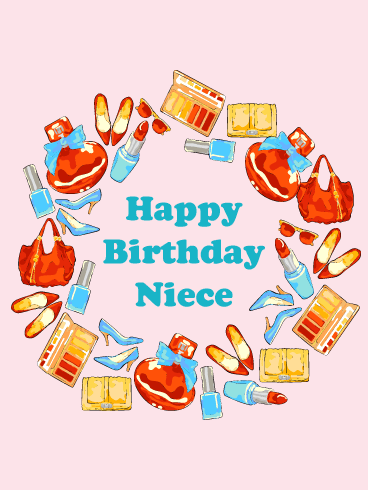 Send this fantastic card over to your niece today to get her excited about her big day! 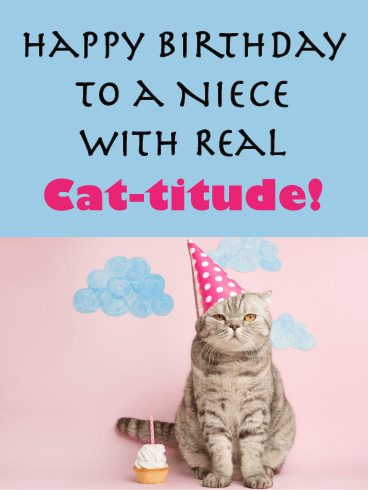 If your niece has a special affection for cats, then she is going to just adore this birthday card! It features a cute cat holding a pink birthday present that is perfectly wrapped. It will put a smile on her face and brighten her day! 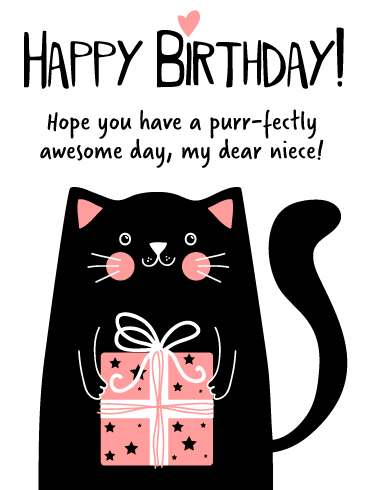 So wish her a purr-fectly awesome day by getting this sweet birthday card on its way. 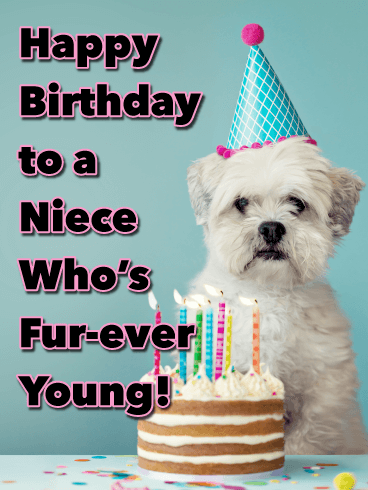 Your niece is another year older and if you want to send her a fun, yet meaningful birthday card, we have you covered! 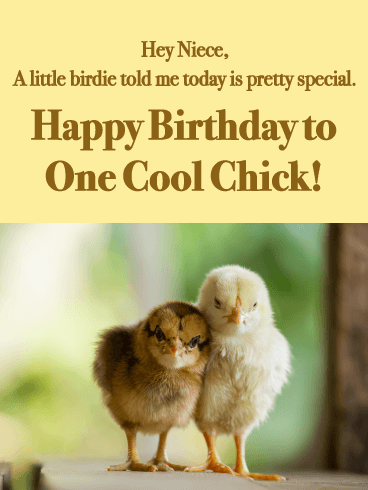 This awesome greeting card showcases a colorful and fun image that your niece can relate to. 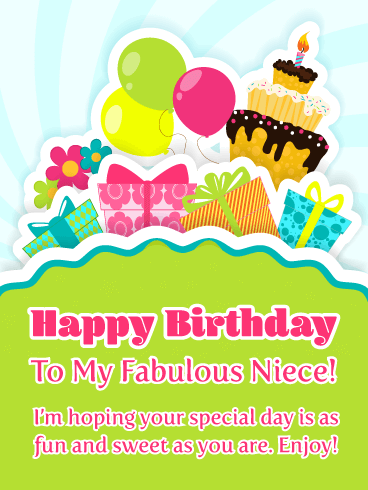 It also displays a thoughtful message that wishes your niece a happy journey in life. 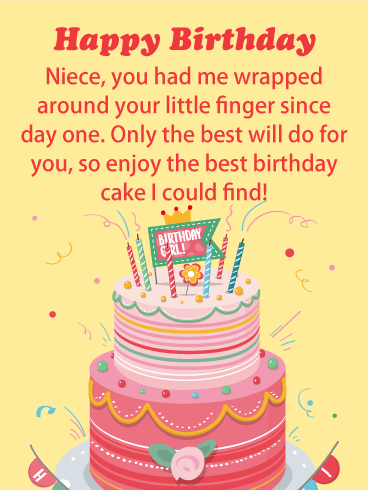 This unique card will add joy to her day and have her looking forward to the fun years ahead! 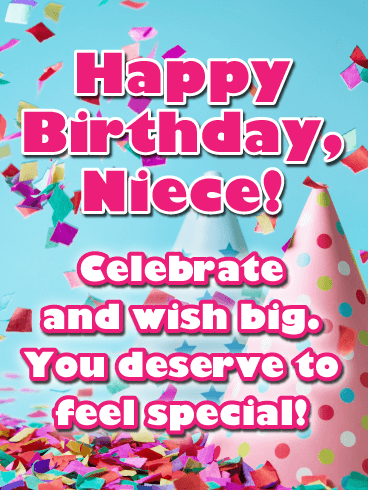 Let your niece know that she deserves to have all her wishes come true with this fabulous happy birthday card! It will mean so much to her. 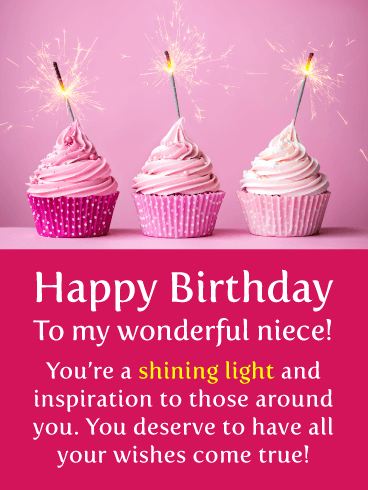 This awesome birthday card will also express to your niece that she is a shining light to all. This will certainly make her happy. Send these pretty sparkling cupcakes to your niece before they are gone! 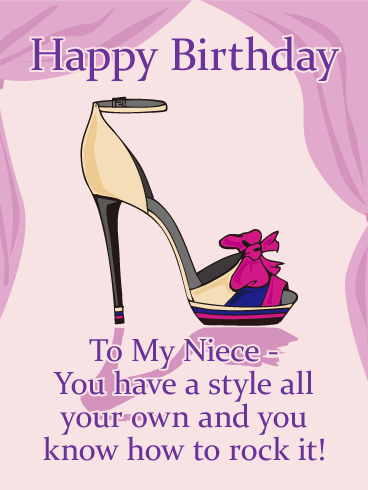 If you have a niece who likes to make a fashion statement, then this is the birthday card for her! It showcases a young lady who clearly knows all about fashion and style. She will think that you are the best for choosing a card that is just right for her. 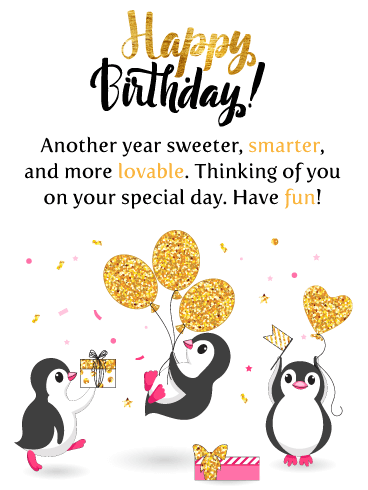 Send this pretty card her way to wish her a happy birthday on her big day. No one can resist a birthday treat such as this. I mean look at it, it just doesn’t get any better than this! A strawberry ice cream milkshake with whipped cream, colorful candy, marshmallows, sprinkles, and a lollipop! 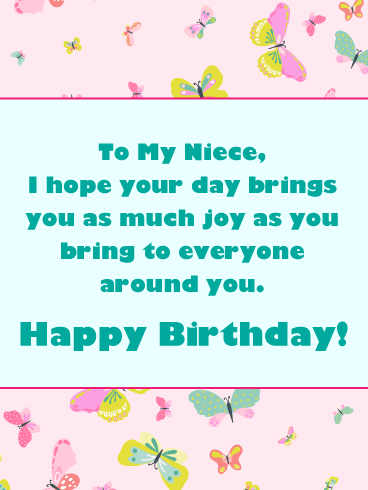 Your niece will really enjoy receiving this sweet treat birthday card. 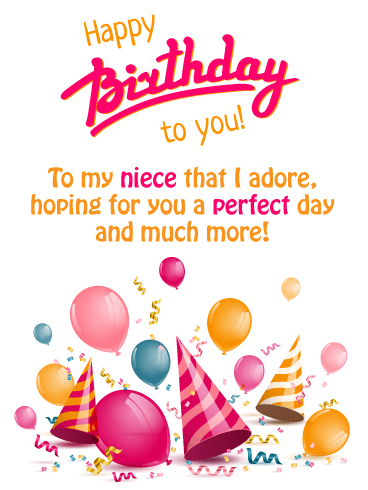 So if you want to impress your niece by sending the most irresistible birthday card ever, send this one out for sure! Your niece is a special person in her life. 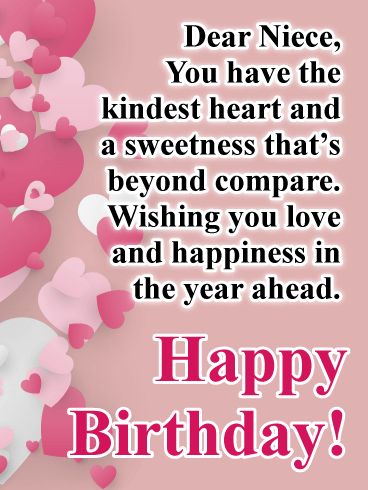 On her birthday, let her know you’re wishing her well with this beautiful card. Purple flowers decorate the bottom, and above are your thoughtful words, letting her know that having her as part of your family is the most wonderful gift of all. Birthday cards for a niece are some of the most fun to send! 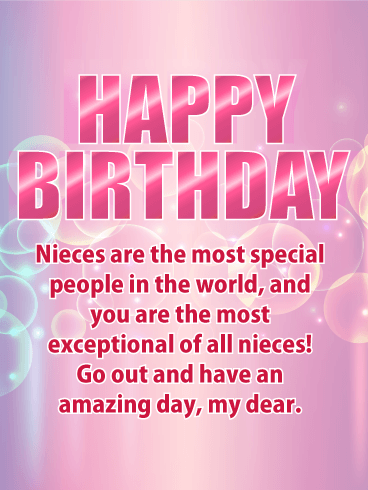 Nieces are super special and deserve out-of-this-world birthday greeting cards to tell them so. 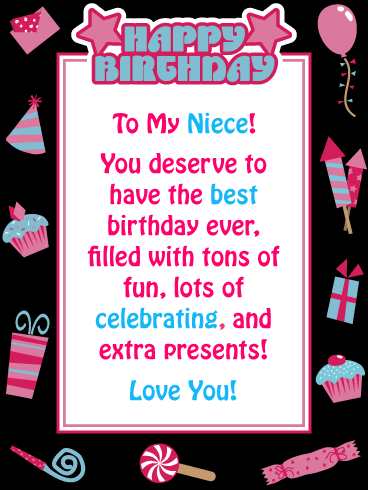 Send your sweet niece a glittery birthday card that is cosmic and epic on all accounts. Pink and purple starbursts make this birthday card dazzle. 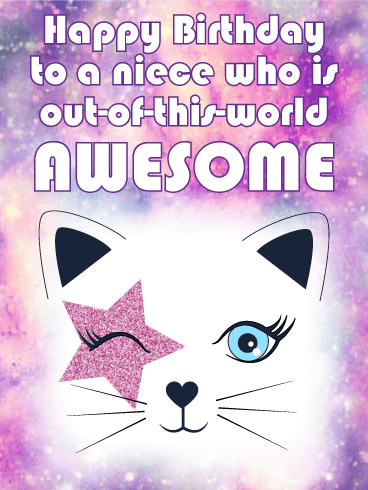 Delight your niece on her birthday today with a starry-eyed space cat who knows that birthdays-just like nieces-are out-of-this-world awesome. 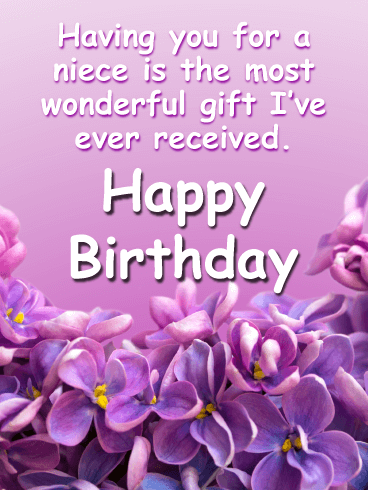 Make it a beautiful birthday when you send this ribbon and bow birthday card to your niece! 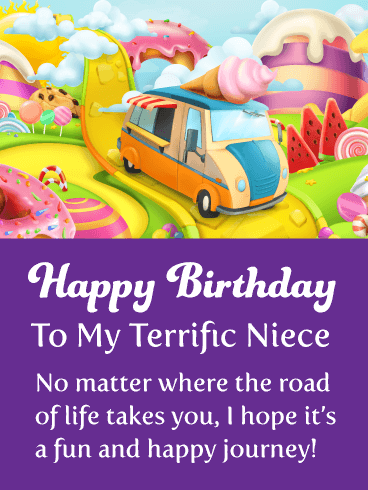 Sometimes there just aren't enough words to tell your niece how wonderful she is, but this special birthday message tries to do just that! 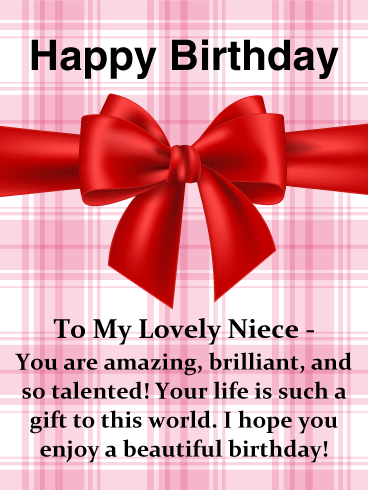 Amazing, brilliant, and talented are just a few of the words to describe your niece! 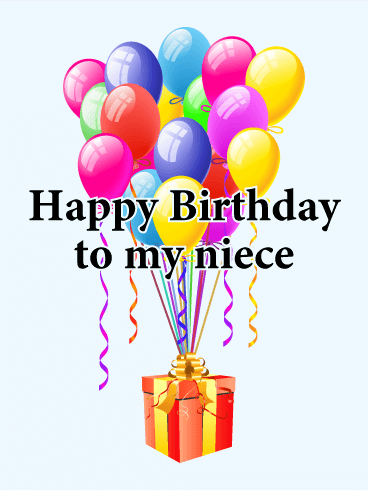 Send a beautiful birthday greeting card to your niece and wish her a great day. 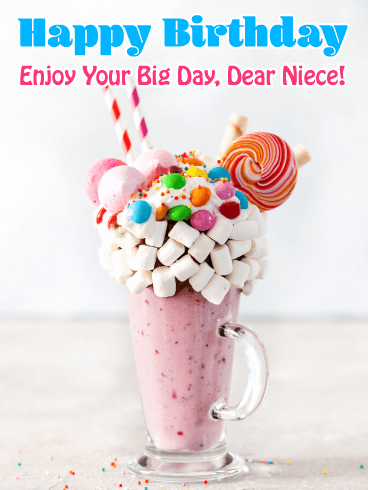 Send your super cute niece this adorable unicorn birthday greeting card. Your niece is a one-of-a-kind sort of girl who is tons of fun to be around and just so sweet. 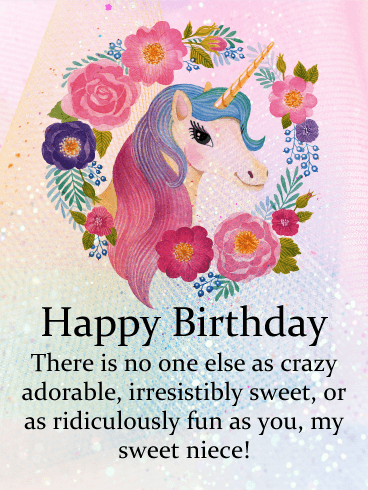 Send her this crazy adorable birthday card with a precious rainbow unicorn surrounded with gorgeous flowers today. 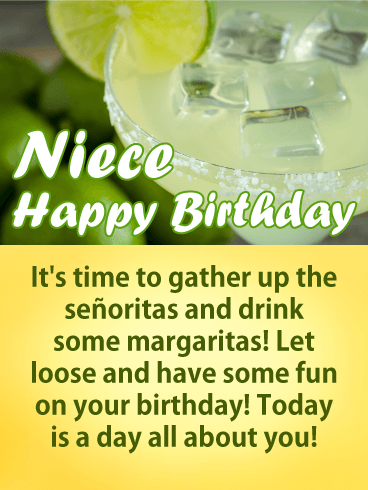 It is just what her birthday needs! Unicorns are everyone's favorite animal these days! Unicorns are magical, rare, and beloved mythical creatures-kind of like your darling niece! If your niece never ceases to amaze you, if she brings unexpected joy to all those she meets, then she might be part unicorn! Either way, she's a real treasure. 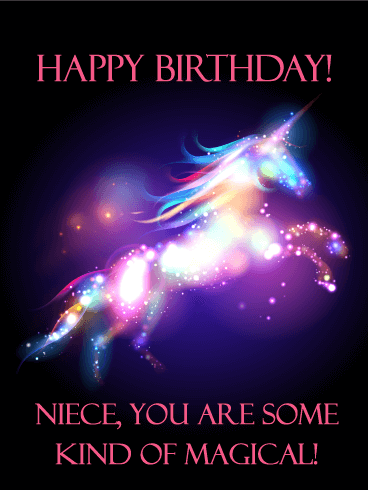 Send your niece a dazzling unicorn birthday card. She'll love the glittery and starry unicorn and the special birthday card message of being just as magical as this wondrous animal. 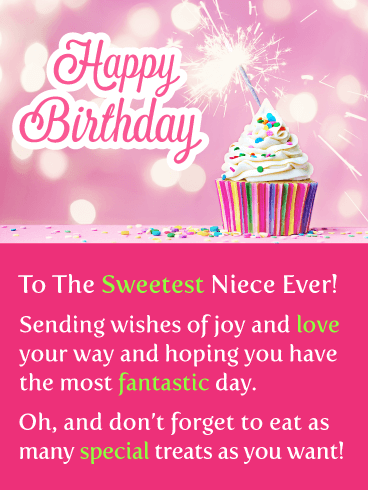 This adorable birthday greeting card for a niece is delicious! 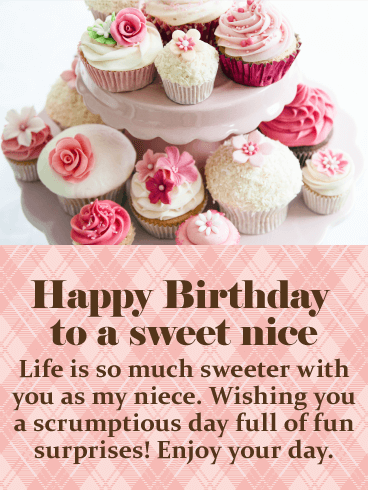 She will adore these cute cupcakes and the special birthday message for a scrumptious day full of fun surprises. 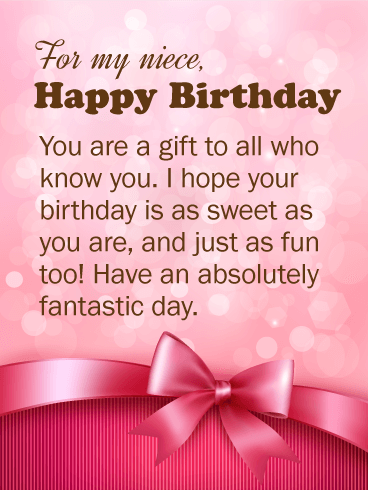 Send a pretty pink birthday card to your sweet niece today and make it a birthday to remember. 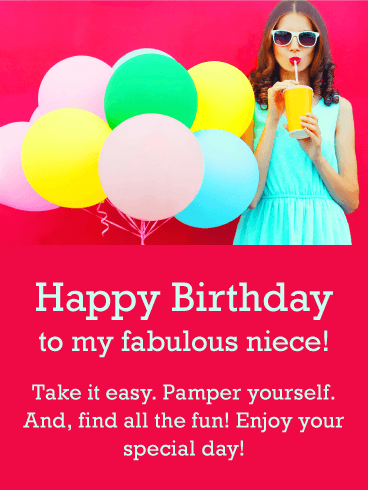 Add some cuteness to your niece's special day when you send this fun-loving strawberry birthday card. All that glitters is gold! 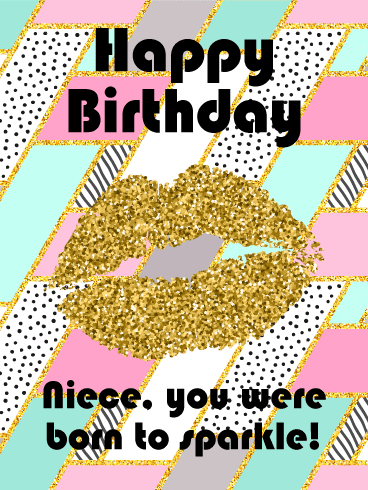 Send a glittery gold birthday card to your amazing niece on her birthday and tell her she was born to sparkle! 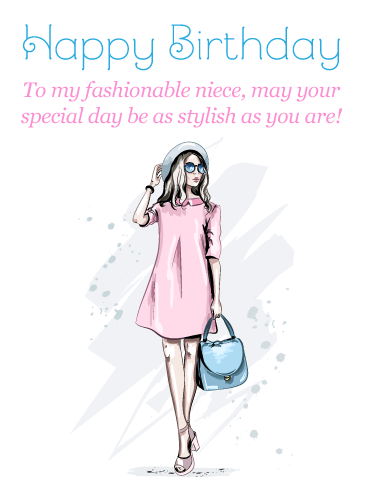 This modern birthday card is both adorable and chic; it is a sassy and stylish birthday greeting card that is perfect for a teenage or grownup niece. 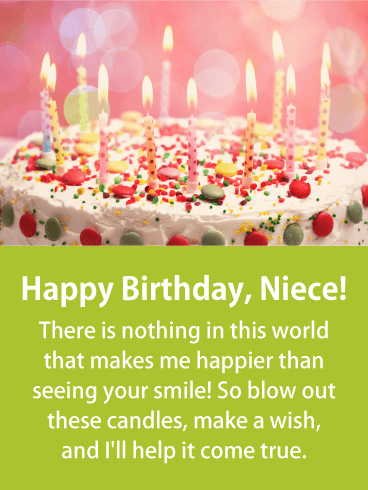 Send your niece this gorgeous birthday greeting card with an awesome birthday message today.